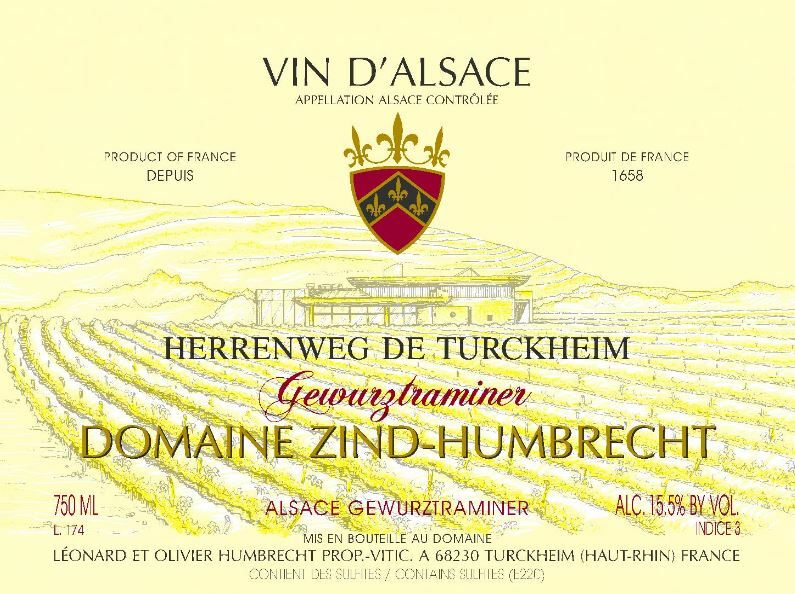 There is no doubt that 2007 had the perfect climate and vintage condition for gewürztraminer in the gravely/silt soils of the Herrenweg. Usually, these alluvial soils would suffer from excessive heat and too much stress, as they have a natural good drainage and can warm up very quickly. Personally I would always prefer a vintage with a little too much water in summer than not enough in these vineyards. However, some nice heat and sunshine is always welcomed at harvest time, and this is exactly what happened in 2007. It explained a perfect physiological growth and high maturity, as well as some good noble rot development on some of the oldest vines. 2/2009: the nose shows ultra typical intense rich flowery nose (old roses, geranium) and litchi fruit. With time, there is more obvious spicy flavours developing, but there is no doubt at all on the nose, this is intense rich gewürztraminer. The palate confirms simply everything the nose already showed before. There is perhaps a nice sensation of minerality on the palate, which comes certainly also from the noble bitterness and high concentration of the grapes.